Home » How to make » How to make Korker ribbon. 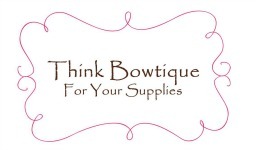 At Think Bowtique we have all your hair bow and headband making supplies right here in Australia. See our large range of wholesale grosgrain ribbon and satin ribbons and headband supplies. You will need grosgrain ribbon, wooden pegs and wooden down. Must be wood so it will not melt in your oven. 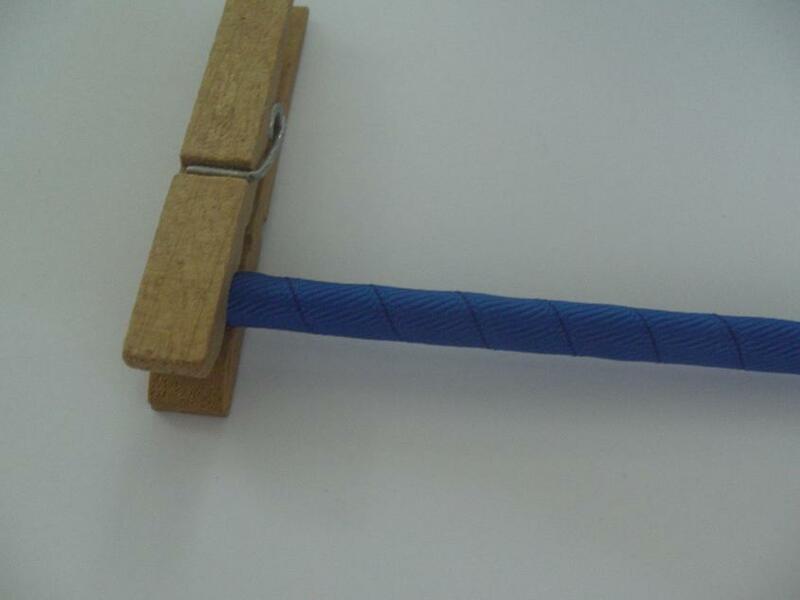 You can find dowel at most hardware stores in 1.8 metre lengths you then cut them to size. Length of dowel will depend on how wide your oven is. I use 6mm dowel. I have used 9mm grosgrain ribbon, you can also use 6mm ribbon. It’s a good idea to sand the dowel or the burs may get caught on your ribbon as you slide the ribbon off. I also bake my sticks before use to seal them and stop the natural satin in the timber from staining my grosgrain ribbon. Peg the end of your ribbon to the dowel and wind the grosgrain ribbon around so the ribon sit flush together. Don’t leave gaps between your ribbon. This gives a tighter curl. Keep winding until you get to the end of your stick, cut and peg. Once I have all my dowels wound with ribbon. I place them in a Tin baking tray you can use any tray. I then spray them with Crip Spray starch. Put them in the oven and bake at 110 for 25 minutes in a cold oven and 20 minutes in a warm oven. These are the times I use. I use the same times for solid grosgrain ribbon, printed ribbon and I have even used this time for a fancy silver ribbon. Buy using the same times you don’t have to worry about setting them temps to high and burning your ribbons. I also find that printed grosgrain ribbon bleeds less at these temps. You can turn your oven off and leave them in to cool or take them straight out and cool on the bench. I like to leave my cool in the oven. Wait until they have cooled and unpeg your sticks. Give the grosgrain ribbon a little twist to loose and then gently slide off. This is why you need to sand the dowel so the grosgrain ribbon will slide off nicely. Now your ready to make korker bows. Buy grosgrain ribbon in Australia online. Think Bowtique has over 90 colours in stock so your sure to find a colour to match your creations. Thank you for taking the time to read my tutorial if you liked it please share with your friends. ← How to make a 3 layer 5 petal flower.